Earth Mantra has long been a big fan of the various electronic music made by Moscow-based artist Evgenij Kharitonov, who records intriguing and boundary pushing ambient space music under the name EugeneKha. But with his latest release, called Mantra of Space Monks, we feel he has produced his best work yet, an album of truly immense significance. EugeneKha has always been about sound design, and about fusing together disparate elements to create what we might term 'progressive ambient' music. With his latest work, he continues to polish the sculpture and texture of the sound, but he has eschewed rhythm and pulsation, focusing instead on deep and entrancing ambient elements that combine to form some of the most immersive space music we've heard in awhile. And yet, despite its mesmerizing aspects, the music retains Evgenij's signature ability to bend familiar sounds into new and unique devices that are both immediately approachable and yet distinctive and refreshing. Imagine if Boards of Canada slowed themselves way down and took a deep dive into pure beatless ambience. Now combine that with elements of Eno and a strong sense of traditional space music, and you have a glimmer of understanding of the type of material you might find in this delicious album. 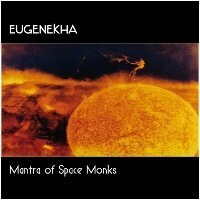 We've heard a lot of superb pure ambience from EugeneKha before, but we are struck by the great patience and minimalism of pieces like The Calmness Sea and Ethereal Drone, tracks that really showcase the artist's mastery of the ambient form and demonstrate how he has found a zone of truly placid and soothing ambient composition that only some of the masters of the genre have previously encountered. With such profound subtlety and grace, we sincerely believe this is an album that will stand the test of time, and certainly one of the top releases of 2010. So it is with great pleasure we unveil the latest Earth Mantra release by EugeneKha. We hope Evgenij continues in this direction, and continues to share with us his extraordinary musical vision. Love this album. Thank you.